Yes, this is the second theme update of the day, right after Novara 1.1.0. Unlike Novara 1.1.0, which was a “pre WordPress.com submission” update, this one is more of a “post WordPress.com review” update, and adds a bunch of bug fixes and enhancements. These were mostly under the direction of WordPress.com Theminator, David A. Kennedy who also has an excellent newsletter called Accessibility Weekly that you should subscribe to. Sorry elongated down arrow, but rounding errors made you look weird and detached on certain browsers. Spatial uses an icon font to handle the “core” arrow, then used a pure CSS rectangle to extend it, as per the original design. The pure CSS rectangle becoming detached from the arrow icon is what you see in the above screenshot. It looked fine on most browsers, but not all. Safari on iOS is just one example. Although it was probably possible to fix this, maybe with browser sniffing, I determined it to not be a big enough deal to worry about, and decided to just cut the arrow down to its original, non-elongated size. This is an embarrassing one. Note to self: always develop themes with WP_DEBUG set to true. Spatial was throwing some PHP notices due to font variables that didn’t exist in the spatial_fonts_url() function. This is now fixed. If the elongated variables didn’t bother you enough to update, this should. Give your error logs (depending on your server setup) some relief! There was an erroneous closing </span> tag in the author display function in inc/template-tags.php. Luckily, browsers tend to do a pretty good job self-correcting these, which made it easy to miss. An extra closing </div> would’ve probably been much more glaring. However, it is an HTML error nonetheless. And could screw things up on some browsers. So it’s been fixed. This one was pointed out by Tung Do (who also designed the theme) earlier today. Not a huge deal, but we found a couple elements that were all flushed up to the side of the container div, that were supposed to be centered. Whatcha doin’ over there, Comments Closed notice? Jokes aside, the first version of Spatial totally neglected to style this message. It’s now centered. Same with Jetpack comment form. Which is also used on WordPress.com. These are both now centered! With this update, Spatial now supports the Content Options module from Jetpack. This will let you better control the display of things like categories, tags, author, and featured images on different types of pages. 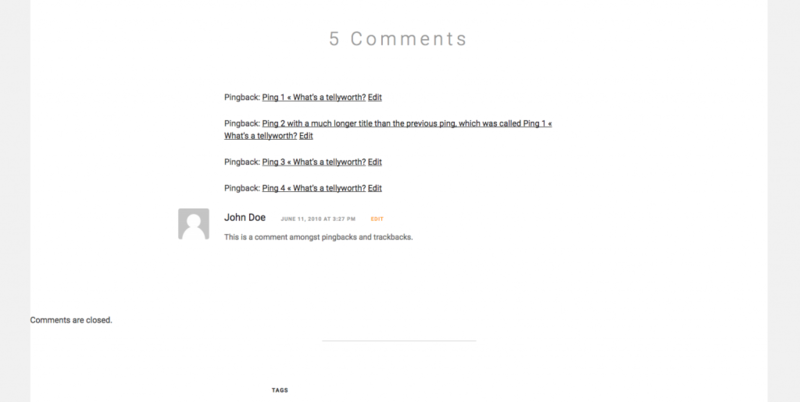 Single post navigation lets you navigate between the previously and next published post. 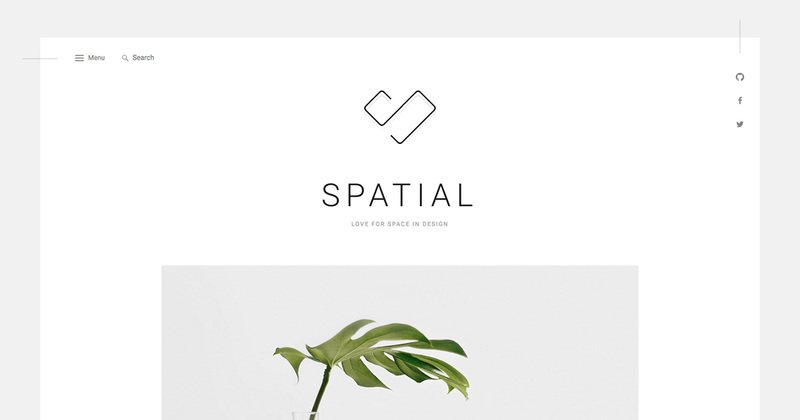 The initial version of Spatial, you had to click the text link to navigate. This is fine if you’re pointing at it with a mouse, but a little more difficult on a touch screen. Now the entire box is clickable. The slightly darker background color (and lack of underline) you see on the previous post in the screenshot above represents the hover state. The primary menu location in Spatial is located in a slide out panel, but the menu label was “Primary” which wasn’t very descriptive. This has been renamed to “Slide Out Menu” to better reflect where the menu is actually located. In the Spatial slider, you can use left and right arrows to navigate between slides. They are graphical buttons. However, we also added hidden screen reader text (“Previous Slide” and “Next Slide”) within these buttons for improved accessibility. Want to use Spatial in German? What about Persian? Japanese? Portuguese? Romanian? Okay, well you’re in luck, because translations for all of the above languages have been included in this latest update!